Then look no further. 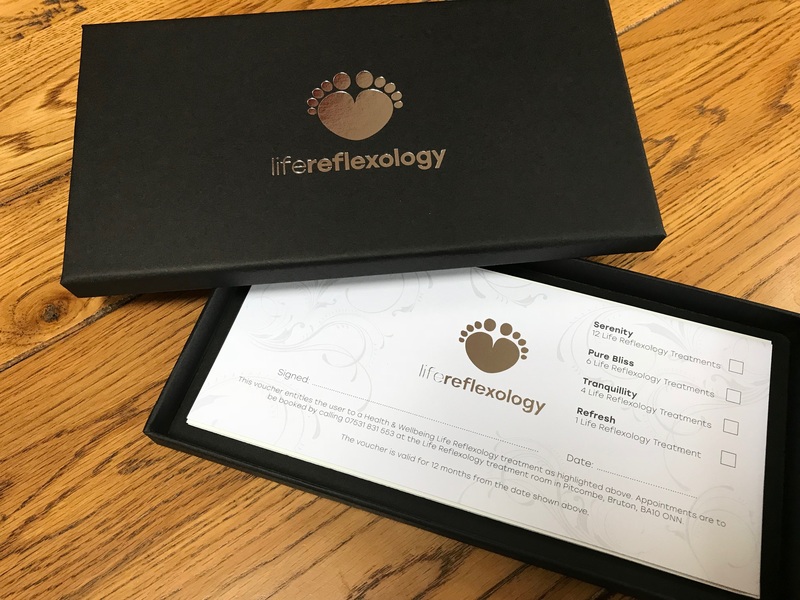 Life Reflexology has beautiful gift vouchers available for you. The embossed gifts are then presented in a stylish gift box ready for you to give away. These vouchers make great gifts for all occasions… clients, employees, friends or family. There are lots of packages to choose from. All treatments to take place in the Life Reflexology treatment room in Pitcombe, Bruton unless otherwise agreed. Vouchers are valid for 12 months after the date of purchase and are non-refundable.